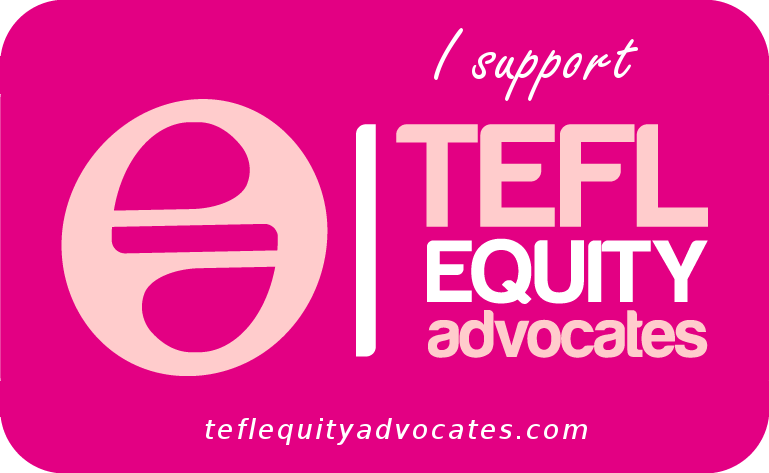 In last week’s post I identified some of the tensions that characterize the current state of ELT, the resolution of which may determine the shape that the profession takes in the next decade or two. Without daring to commit to an outcome, one way or the other, let me suggest two more dimensions along which the future of ELT may be inscribed. Most English language teaching, and specifically EFL, takes place in public institutions, such as state-funded schools or universities. In these contexts, ELT methodology is typically (but not always) constrained by such factors as class size, i.e. large numbers of learners often seated in rows; limited contact with the target language; teachers who are less that fully confident in their own command of English (even if they are expected to use it as the vehicular language in their classes); a lack of motivation on the part of the learners; and mandated curricula that are driven by exams whose focus is primarily on accuracy. Under such conditions it is not surprising that the favoured methodology is form-focused, teacher-fronted, choral, and bilingual – a variant, in other words, of grammar-translation. In the private (or fee-paying) sector, however, things tend to be very different: with smaller class-sizes and (often) native-speaker teachers – or, even, only native-speaker teachers – albeit with minimal training. Learners may be there of their own volition, motivated by work, study, or leisure-related needs. Such an ‘ecology’ favours a more learner-centred, English-only and activity-based methodology – a variant, in other words, of communicative language teaching. It’s likely that this division will persist for the foreseeable future, particularly in developing countries, which do not have the means to support ongoing professional development of state-school teachers, but where the necessity of having ‘English’ somewhere on the curriculum will long outlive its utility. Meanwhile, attempts to redress the generally poor results in the public sector by introducing English-medium instruction (e.g. in the form of CLIL) will work only when both teachers and learners have a ‘critical mass’ of English language proficiency to support content-based learning without prejudicing the learning of the subject matter. In some contexts, this may still be generations away. Until then, any form of immersion is likely to be associated with the elite, private sector. For the original proponents of the communicative approach it was axiomatic that native-like competence was a less urgent and less realistic goal than communicative efficiency, particularly with regard to pronunciation. In theory, at least, a first language accent was tolerable so long as it was intelligible. Such generosity did not readily extend to other systems, such as grammar, which were still taught and tested according to some idealized notion of what a native-speaker might say or write. This ‘native speakerism’ was reinforced by the prestige still being bestowed on native speaker teachers, especially in the private sector (see above). As long ago as 1999, Vivian Cook railed against this deficit model of instruction, arguing that ‘L2 users have to be looked at in their own right as genuine L2 users, not as imitation native speakers’ (1999, p. 195). This view was given extra impetus by the realization that, for many users, English is a contact language between other English-as-an-L2 users, and that, therefore, different standards apply. 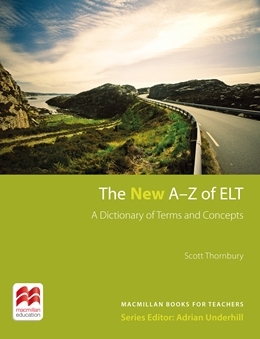 The notion of English as a lingua franca (ELF) as promulgated by Jennifer Jenkins (2000) – initially in relation to phonology – had the effect (or should have had the effect) of moving the goalposts in the direction of the learner-user. Nevertheless, years of (often bitter) debate have not resolved the issue as to what the goalposts actually look like. Is there an emergent codifiable variety called ELF? Or is it simply an elusive social practice – a spontaneously negotiated communicative ‘dance’ involving a creative mix of pragmatics, paralinguistics, accommodation, code-switching, repair strategies and interlanguage? Either way, the effect has been to challenge, even subvert, the supremacy of the native-speaker ‘gold standard’. Will the steady penetration of English into all corners of the globe and at most levels of society, mediated by ever swifter, cheaper and more accessible technologies, do the rest? Or will the need for some mutually intelligible ‘common core’ tip the argument in favour of retaining the Queen’s English (or a version thereof)? The jury is out. I had promised to discuss three ‘tensions’ today, but I am already out of time. Will there be more Predictions? Place your bets! Bruthiaux, P. (2002) ‘Hold your courses: language education, language choice, and economic development.’ TESOL Quarterly, 36/3. Cook, V. (1999) ‘Going beyond the native speaker in language teaching.’ TESOL Quarterly, 33/2. Or C is for CELTA. Or F is for Four-week course. 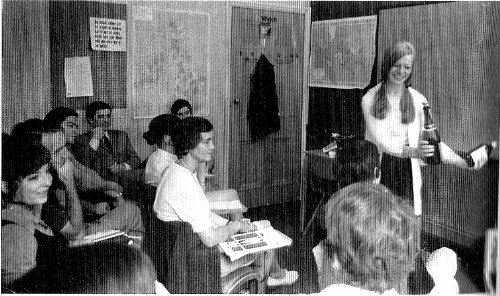 This month celebrates the 50th anniversary of the first teacher training course offered by International House (IH) at its then London home in 40 Shaftesbury Avenue. As the current issue of the EL Gazette notes, this is ‘still the model of initial training for native-speaker teachers which predominates in most of the world’ (p.24). A model that is not without its problems, it goes without saying. But first some autobiography. 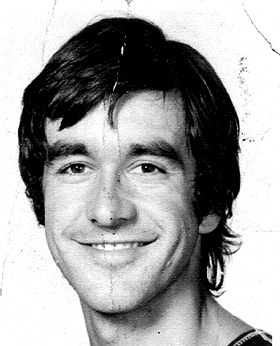 I enrolled on the 4-week course (as it was then called, prior to its morphing into the RSA course, then the CTEFLA, and now, its most recent avatar, the CELTA) in early 1975. I had recently arrived in the UK, via a few heady days and nights in Athens, and I had set my sights on a teaching job in Greece. Friends who had done ‘the course’ and were already teaching recommended it: I was duly interviewed (by the wise and lovely Georgie Raman) and coughed up the course fee of £65.00. Probably the best 65 quid I ever spent. IH was still housed at 40 Shaftesbury Avenue, just down the road from the evocative Berwick Street market and around the corner from the Blue Posts pub (the site of many well-lubricated lesson post-mortems). Finding your way around the warren of rooms that comprised IH almost required a course in its own right. Day 1 began with a welcome speech from IH’s co-founder, John Haycraft. It all felt a bit like drama school: we sat on the floor while John’s introduction involved a lot of what I would soon discover was a core technique on the course itself: he elicited. There was more eliciting in the foreign language lesson (which happened to be Thai) even though none of us had any Thai to elicit. Magically, though, we were all exchanging names and greetings in Thai within minutes and with NO TRANSLATION! Just as geese will mistakenly assume that the first perambulating object they set eyes on, such as a wheelbarrow, is their mother, and will follow it unquestioningly, we were all instantly and irrevocably ‘imprinted’ by the direct method. Teaching Practice (TP), of course, is at the very heart of the 4-week course, and is what made it both so terrifying and so exhilarating – and also so effective. In retrospect it seems amazing that such a perfectly obvious idea (i.e. to incorporate a practicum from Day 1) hadn’t been thought of before, or that – even today – it is so relatively rarely instituted on preservice teacher training programs, especially at tertiary level. Of course, it’s not just the teaching practice that is so formative: it is the collaborative planning and the tutor-led post-lesson feedback discussion, as well as the regular classroom observation, not to mention the way that the input sessions themselves cross-refer to teaching practice, so that – when it works well – the whole experience is entirely integrated, coherent and maximally practical. So practical, in fact, that, having finished the course on a Friday, I was teaching my first class in IH Hastings the following Monday. The rest, as they say, is history (except that I never did make it back to Athens). So, if it’s so good, why is it so bad? The same issue of the EL Gazette that celebrates the 50th anniversary of the IH course, has another piece about teaching in Russia, which makes salutary reading. Despite having been ‘opened up’ to non-native speaker teachers, there is still a widespread perception that the CELTA is a native-speaker club, a feeling that clearly causes resentment to many Russians (judging by the article) especially when the CELTA is promoted as a more reliable measure of employability than a degree in linguistics or yards of teaching experience. One Moscow-based teacher complained that, to get work, ‘we have to change our methods because only Celta teaching is acceptable. I think Celta is fine, but it isn’t the only way to teach. It would be nice to have other options’ (p. 21). It took me many years to outgrow the 4-week course and to realise that there are ‘other options’. This is not to deny its power and its fitness for purpose, nor to feel less grateful for the incredible career it kick-started. But isn’t it time that some of the other options were given more credence? And more legitimacy? There are periodic bouts of hand-wringing in the blogosphere on the subject of ‘native-speakerism’ – the term that Adrian Holliday coined to capture “the chauvinistic belief that ‘native speakers’ represent a ‘Western culture’ from which spring the ideals both of the language and of language teaching methodology” (2008, p. 49). It manifests itself not only in the adoption of native-speaker models as the most desirable standards of accuracy, but also in the dominance of native speaker “experts” at international, national and regional conferences. (Ironically, it is typically native-speakers who are the ones doing the hand-wringing: there is a dominant discourse trope in a lot of current ‘critical’ theory that consists of native-speaker academics condemning the pervasiveness of native-speakerism, while urging those who are oppressed by it to fling it off and assert their own legitimate identities as users, and hence owners, of global English. It’s as if the poison and the antidote are being administered by the same hand). I have just come back from a conference in Occupied Palestine/the West Bank/the Palestinian Territories/Judea and Samaria (choose the name according to your political persuasion – my preference is for the first). It was co-sponsored by three UK-based organizations (the British Council, Macmillan Education, and IATEFL) and it featured several native speaker experts, myself included. (There would have been more but the Icelandic ash cloud put paid to that). It had all the hallmarks, therefore, of the kind of disenfranchising native-speaker-fest that Holliday, Phillipson, Pennycook et al, decry. This was doubly ironic, perhaps, since the conference took place in a context where oppression is experienced on a daily basis – an oppression whose origins are directly traceable to the machinations of British imperialist strategists at the turn of the last century. Yet, the conference was judged – by those who attended – a huge success. I can’t count the number of participants who thanked us for being there and who hoped we would be back. Invitations flowed. 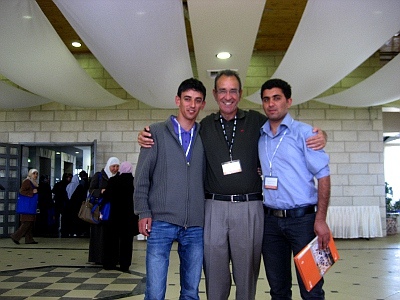 Two young teachers from Jenin, for example, urged me to come and visit their university: “We badly need native speakers”. 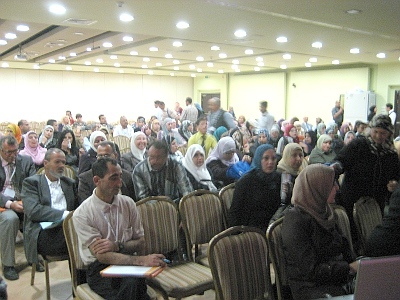 A subsequent day’s training I did in a private school in East Jerusalem was similarly enthusiastically received. Which leaves me in two minds. Clearly, the presence of foreign “experts” in a country where travel is so constrained, and where visitors are so few, acts as a kind of validation of the teachers’ collective commitment to their profession and to their national identity, as well as providing a rare break from the daily grind of checkpoints and restrictions. At the same time, their readiness to embrace imported methodologies, however capably presented by the (well-intentioned and highly-experienced) visitors, may divert attention away from the real task, which is to develop a homegrown methodology suitable for local conditions. As Holliday points out, “We should not model ‘best practice’, which is ideologically embedded, but encourage spaces for reflection on and scrutiny of existing practice” (op. cit, p. 59). But would a conference with these objectives have been half as attractive to the participants? I suspect not. Even Holliday is realist enough to concede that “we must recognize people’s aesthetic preferences for types of English and types of speakers, and the possibility that they may prefer flavours from the English-speaking West over indigenous flavours for a multiplicity of reasons” (op. cit., p. 60). It’s this multiplicity that I’m presently trying to untangle, as I face the prospect of more trips to even less familiar contexts. Holliday, A. 2008. ‘What happens between people: who are we and what we do’. In Gieve, S., and Miller, I. (eds.) Understanding the Language Classroom. Palgrave Macmillan.